The Gateway of the Monster...The Red Hand...The Ghost Hunter To Sherlock Holmes the supernatural was a closed book: but other great detectives have always been ready to do battle with the dark instead. This volume brings together sixteen chilling cases of these supernatural sleuths, pitting themselves against the peril of ultimate evil. Here are encounters from the casebooks of the Victorian haunted house investigators John Bell and Flaxman Low, from Carnacki, the Edwardian battler against the abyss, and from horror master Arthur Machen's Mr Dyson, a man-about-town and meddler in strange things. 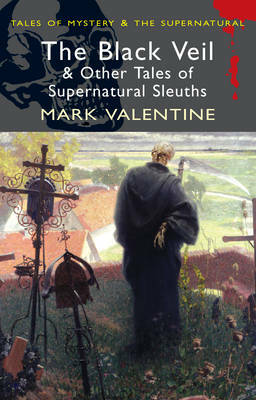 Connoisseurs will find rare cases such as those of Allen Upward's 'The Ghost Hunter', Robert Barr's Eugene Valmont (who may have inspired Agatha Christie's Hercule Poirot) and Donald Campbell's young explorer Leslie Vane, the James Bond of the jazz age, who battles against occult enemies of the British Empire. And the collection is completed by some of the best tales from the pens of modern psychic sleuth authors.